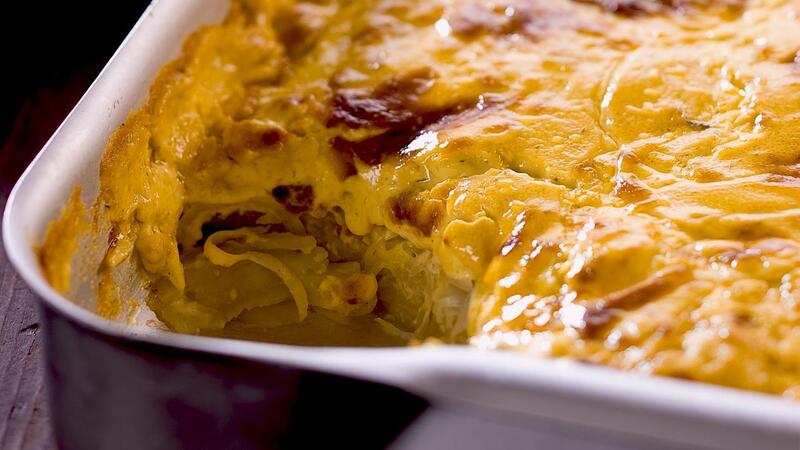 Utilising the KNORR Béarnaise in gratin makes it more decadent and luxurious. Allowing you to charge a little more on your menu. Wash, peel and slice the potato, (if keeping for a period of time cover with cold water to prevent from going brown). Combine the KNORR Garde D'Or Béarnaise Sauce and cream together. Place a layer of sliced potato onto a large baking tray and pour over some of the KNORR Garde D'Or Béarnaise Sauce and cream mix and continue to do this until the tray is full. Sprinkle over the grated cheese and bake in a preheated oven (170 degree Celsius) until the potato is cooked and is golden brown on top.